While a tight budget meant some of the more ambitious eco features planned for this simple and graceful new farmhouse had to be dropped, it still manages to meet Ireland’s standard for nearly zero energy buildings (nZEBs) thanks to a combination of superb detailing and fabric-first design. 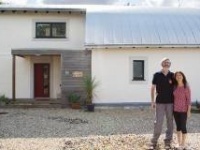 The first social housing scheme of any kind to top Ireland’s BER scale, this project is a timely reminder that in the midst of a national housing emergency, it is possible to tackle climate change and blitz the forthcoming nearly zero energy building targets, while housing the most vulnerable in society in healthy, fuel poverty-proof homes predicted to incur zero heating cost. 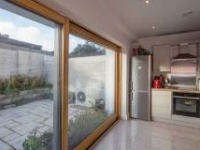 At a time when the industry’s under increasing pressure to deliver cost-effective, robust, low energy homes at breakneck speed, one new west Dublin project is leading the way – while picking off sustainability targets for fun. A delegation of world leaders in sustainable building and energy visited Wexford early on 10 May to discuss plans to locate Ireland’s first nearly zero energy building (nZEB) training centre near Enniscorthy. The construction industry is unwittingly facing the prospect of immediate, dramatic changes to how buildings are designed and constructed to comply with imminent EU energy efficiency deadlines. In the first article in our new Dispatches section – where we’ll attempt to probe and investigate in detail the burning issues arising from Ireland’s transition to sustainable building – Passive House Plus investigates. 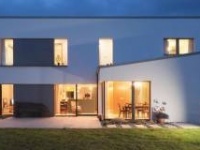 This year’s NZEB Open Doors event takes place from 11-13 November across Ireland. The event sees dozens of cutting edge, low energy buildings open their doors for members of the public to visit and experience for themselves. The Tory government's decision to scrap the proposed zero carbon standard for new dwellings might appear to be a kick in the teeth for green building — but could the move present an opportunity for a better standard to step in? 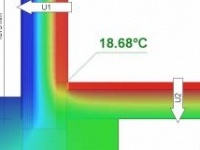 A recently completed pilot project by Cork Institute of Technology may be a model for bringing untenably inefficient and uncomfortable office buildings up to near zero energy performance levels.